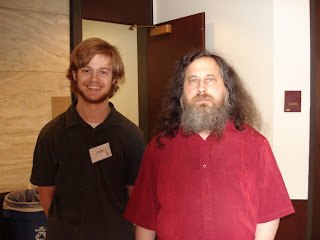 Call Stallman what you will: ideological, dogmatic, unwavering, stubborn, whatever. You have to give it to him that he is completely and totally dedicated to his cause. I think this is admirable.